These links are provided as a service to the public. The Texas Optometry Board is not responsible for the content on these websites. Health Professions Council Links to state agencies that license Texas health professionals. Texas Medical Board State agency that licenses ophthalmologists. State Board of Pharmacy State agency that licenses pharmacists and pharmacies. Source for information on drug prescribing. Office of the Attorney General Consumer complaint division. University of Houston College of Optometry founded in 1952. School is located in Houston. University of the Incarnate Word Rosenberg School of Optometry in San Antonio. Additional Schools Optometry schools in other states. NBEO National Board of Examiners in Optometry. ARBO Association of Regulatory Boards of Optometry. Includes list of COPE approved courses and links to other state optometry boards. Texas Statutes The Optometry Act is also available on the website. Contact Lens Prescription Act Chapter 353 of the Texas Occupations Code. 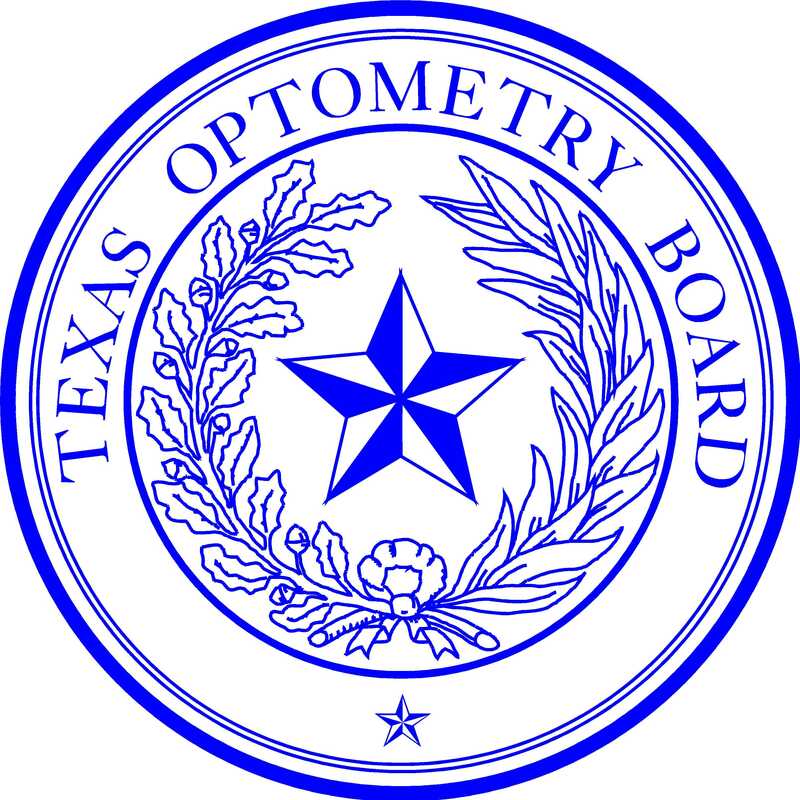 Texas Administrative Rules Optometry Board Rules are also available on the website. Texas.gov Official website of the State of Texas.